While there is considerable overlap between the species composition of breast milk and the resident bacteria in the breast ducts, as one might expect, there were several differences found between the breast ductal flora of women with a history of breast cancer and normal women. Interestingly, nearly all unscreened people know that they should be screened. In fact, awareness about colorectal cancer screening recommendations approaches 100 percent. Mouse studies of “asymmetric division” of immune T cells may also shed light on how stem cells differentiate. ICOS is a co-stimulatory receptor that enhances T-cell responses and results in an increased anti-tumour response from the immune system. “We don’t want our neighbours to know what we earn,” said Mike Thompson, the chief executive of industry body Association of the British Pharmaceutical Industry (ABPI) at a media briefing in London, as he launched a new initiative that will put the details of payments received by healthcare professionals in the public domain. At the FDA, the patient voice is an integral part of our regulatory decision-making, based on professional responsibility and personal experience. 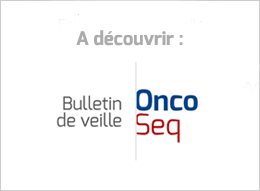 This will continue to be valued in the work of the OCE across oncology-related products. “We don’t have a deadline, and what I’m more interested in doing is making sure that everybody’s voice is heard,” Pazdur said. “One of the first things that I want to do at this point really is to sit down with a review staff. This announcement comes after a review process lasting over 3 years. New Indication Allows Kyprolis to be Used in Combination with Dexamethasone Alone for Appropriate Patients. The prices of the antibiotic Cayston, the chest pain drug Ranexa, and the blood cancer drug Zydelig each went up by 10 percent. Phase III trial finds excellent safety and tolerability. The ÜberResearch team did a quick search on Dimensions, their grant database containing more than $1 trillion of historic and current research funding, to see what had been awarded to UK universities by either the European Research Council or the European Commission. And the cost of lifesaving drugs is astronomical. We have to come up with a better way. What is the possible justification when a drug a lifesaving drug is brought to market at the time it’s brought to market it costs $26,000 a year, and 15 years later it costs $120,000? Tell me, tell me—tell me, what is the justification for that? In any event, the public’s interest in the medical treatments that doctors choose must not be allowed to reinforce our culture’s tendency to see dying solely through medical lenses. More to the point is the question, how do dying doctors live? Apple incorporating differential privacy to improve their products in a privacy-preserving manner will signal that companies can and should design software that is transparent and privacy-protective while still being driven by user data. The survey — of 215 UK academics — estimated that 1 in 7 had plagiarized from someone else’s work, and nearly 1 in 5 had fabricated data.